With this fun student cruise option, we encourage you to ‘rock the boat’ as hard as you can, the group of ‘Fun Ships from Carnival Cruise Lines the perfect way for student groups to let loose, learn, and see something new. Rock The Boat cruises provide student groups with live entertainment, swimming, dancing, karaoke, and performing opportunities, as well as unforgettable journeys to some of the most educational, and beautiful, places around the U.S and beyond. Port Canaveral Breakfast - (Grills Seafood Deck Tiki Bar) Your student group is going to want to be in Port Canaveral fairly early this morning, the cruise itself boarding at 11am, meaning you will probably want to be in the general area ready to go around 10am, 10:30 at the latest. We suggest you make the most of your time and trip by traveling the night before, or early in the morning to get here around 8am or 9am. Once here, take your student group to a much needed, well-rounded, energy producing breakfast, ensuring that you will be fully prepared for your big day at sea and that you all get to see a bit of the city and Floridian beachside sights before you go. Our suggestion? Head over to Grills Seafood Deck Tiki Bar and settle in for some seriously delicious food, and views! Though this may not be the first place you think of for breakfast, you definitely won’t regret it, once you get past the possibly long lines, that is. Start out with a Shotgun Start or Sunrise BLT, or maybe a Bluewater Breakfast Burrito or Pizza Omelet. This spot is so close to your port you won’t have to worry about rushing around, so take some time after breakfast to stroll around and take in some local scenery! Board Carnival Valor - 11am - Now it’s time to board your cruiser, the massively impressive Carnival Valor, and truly start your Bahamas adventure. This is the time in which you can meet your group's personal Rock the Boat Representative, check out your Carnival Capers schedule and unpack within your room, and stroll around and get to know your ship, aka your home for the next 4 fun-filled days. Lunch Buffet - 12:30 - 3:30 pm - Today your group will head over to the Lido Deck to take part in a delicious lunch buffet, your choices including such tantalizing options as fine dining, casual, pizza , daily chef specials, or fresh fruits and veggies. Set Sail for the Bahamas - 4pm - After lunch the ship will set sail for the Bahamas, leaving Port Canaveral at 4pm sharp! See you later, Florida! Dinner - 8.15 pm - Tonight you and your group will have dinner in your own respective dining rooms, ensuring that you all have the finest and most convenient food choices! Breakfast - 7am - 10:30am - Enjoy a fresh seaside breakfast from either your open-sitting dining room or the main buffet on Lido Deck. Arrive in Nassau - 12pm - YOU’VE MADE IT TO THE BAHAMAS! You and your group will now have the opportunity to leave the ship, gather your land legs, and head just 5 minutes away to the downtown area for some shopping, sightseeing, or lunch! Be sure to wear comfortable shoes, bring your swim gear (just in case), and bring your camera to capture all the natural and cultural beauty throughout the island. Lunch - 12pm - 2pm - If you choose to eat before you head out to town, or when you get back, you will have the option of eating at either the Lido Deck buffet or your own dining room. Elegant Evening Dinner - 8:15pm - You’re in for a treat tonight, as you all will get to sit down and enjoy an elegant evening dinner in your dining hall. Dress up and eat up! Breakfast - 7am - 9:30am - Grab a big breakfast this morning at either the buffet or your hall in preparation for the day’s many fun and active events at the ‘Fun Day at Sea’ festival. Fun Day at Sea - 8am - You and your group will have so many options for fun activities throughout the ship, it may be hard to decide where to start! 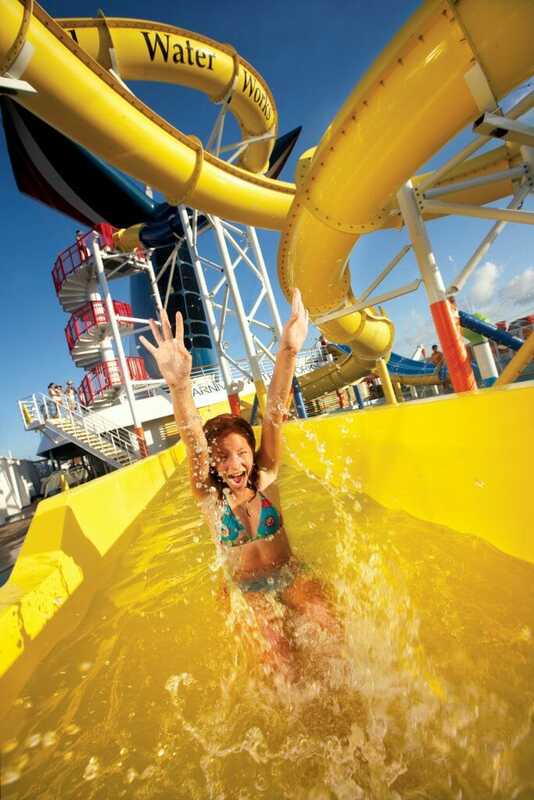 Play games, sing songs, watch movies, and, of course, swim the day away, any option you choose a really fun way to spend the day at sea! Dinner - 8:15pm - Wind down from a busy day with a delicious dinner in your dining hall. 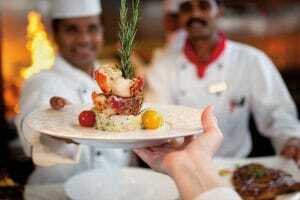 Did we mention the late night snack buffet and 24/7 Pizzeria onboard? Breakfast - 7am - 9:30am - On your last morning on the ship you’ll want to stuff yourself full of a great breakfast, you’re gonna miss this! Arrival at Port Canaveral - 8am - Once you arrive back at port in Florida you’ll have to be cleared by customs before you can actually leave, the entire disembarkation process usually taking around an hour. Lunch/Sightseeing - If you happen to have any energy left this would be the perfect time to take your group to either a final Florida lunch (any local seafood shack is a must) or perhaps just walk around a do a bit more sightseeing. If you’d like to extend your trip by a night and add a little more activity into your Florida stay, we can make that happen too!